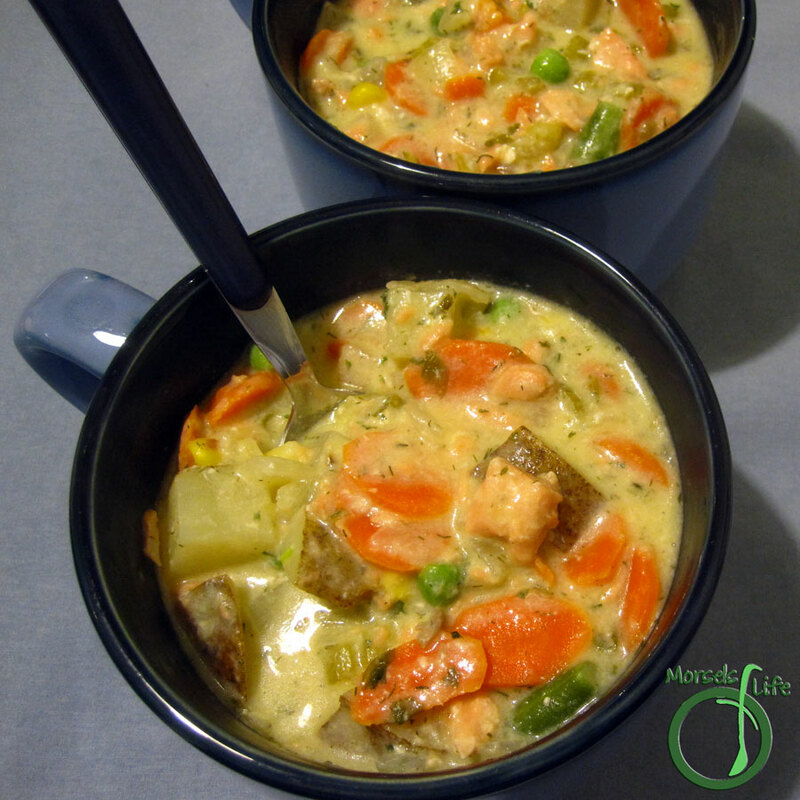 A creamy and chunky salmon chowder hearty enough for a meal. Delightful in some bread (or just plain) bowls! What's your favorite kind of chowder? 2 cups mixed vegetables, diced I used carrots, green beans, peas, corn, and lima beans. Add carrots, celery, and onion, then cook until fragrant. Sprinkle on flour, and cook until flour golden. Add stock and potatoes, and cook until potatoes almost tender (about 10 minutes). Add in remaining materials, simmering until salmon cooked through and chowder thickens to desired thickness.